Batteries are part of our lives. They are present in everyday devices such as electric cars, smartphones, tablets or laptops. For this reason it’s important to know how to treat them right. We already know that TMS (Thermal Management Systems) are important to keep batteries at recommend temperatures, but what about charging behavior? What can we do to reduce battery capacity degradation? Is it better to cycle batteries with partial or full charge/discharge cycles? And at lower or higher SOC (State-of-Charge)? BMZ GmbH – known for supplying batteries to StreetScooter electric vans – made some interesting tests on Samsung ICR18650-26F battery cells that answer the questions above. The first chart shows us that we greatly reduce battery capacity degradation if we limit the maximum charge voltage. Nothing surprising here. The second chart is the most interesting one. In here we see how many charge/discharge cycles the battery cell can handle before reaching the EOL (End-of-Life) – 70 % of the initial battery capacity – in different scenarios. As you can see it’s better to cycle battery cells at lower SOC. For example, if you decide to constantly fully charge a battery cell (100 %) and discharge it till 20 % you can expect 1.000 cycles until reaching the EOL. However, if you charge it till 80 % and discharge it fully (till 0 %), you can expect to triple the cycles (3.000) before reaching the EOL. In both cases you’re only using 80 % of the total battery cell capacity. Anyway, these battery cell tests were made at ideal temperature (25º C) and moderate C-rate (0,5 C) for both charging and discharging. But what do they tell us about electric car battery packs? Electric cars already have BMS (Battery Management Systems) that prevent batteries from being fully charged or discharged, however BMS aren’t created equal, some are more protective than others. Most electric cars have BMS that allow them to use roughly 90 % of their total battery capacity (from 95 to 5 %), but in Chevrolet Volt’s case only 60 % (Gen 1) or 75 % (Gen 2) is usable and that’s why Chevrolet Volt is a clear example that limiting the usable battery capacity is great to reduce degradation. Furthermore, not having the option to limit the charge to 80 % is one reason why some Nissan Leaf 30 kWh batteries show signs of rapid degradation. Summing up, if you really want to take care of your battery try to limit charging to 80-70 %, even if it means that sometimes you’ll need to discharge it almost till empty. Of course this is only advisable if you already know your electric car’s range limits and don’t suffer from range anxiety. Anyway, I hope that you find this article useful. Remember that electric cars are only environmentally conscious choices if their batteries are durable. Thanks Rodrigo Melo for the heads up. This isn’t true of all EVs. The Battery Management System is important, along with the thermal management, in managing the health of the battery. Looking at just the charging strategies is like saying that the only way to travel from London to Edinburgh is by train. Those vehicles such as the Nissan Leaf 30kWh and 40kWh and the Tesla don’t offer management of the battery or thermal protection in a sophisticated manner, leaving much up to the owners. Other EV manufacturers manage it on behalf of owners in addition to checking cell levels as part of routine BMS housekeeping. Indeed, for some vehicles it is better to leave them at high SOC in order to trigger the cell management. It’s therefore best to identify articles such as these as generalistions, not as absolutes otherwise they become part of the google misinformation service. You can do full charges once a month to balance the battery cells, but that’s not needed nor recommendable for daily use. What if you use mot of the full charge of the EV each day? All Teslas have proper thermal management and sophisticated cell management. I agree, that this information, isn’t true for all EV batteries… I try not to charge my 2015 SL until it’s below 90%; I rarely drop down to 20%, but charge it to full when I do charge. For my state of battery report, I have 5/5 stars for all cells after 50 000 km. Then why isn’t there a way to limit the leaf’s charge to 70%? Seems rather stupid doesn’t it? I know you can play with the charging schedule but, why should you have to? The same reason why Nissan had to remove the option to limit the charge to 80 %, to game EPA range. Nonetheless Nissan could introduce a personalized charge limiter such as seen in Tesla cars. There was the option to stop charging at 80%. They took it out when the 30kwh ones came in. 30kwh leaf batteries degrade much faster and while evidence of why is not fully understood, charging to 100% all the time seems to be a major contributing factor at least, especially since most people leave the battery held at 100% overnight. Stupid, yes, if you look at it from an engineering perspective. But engineers seldom get to call the shots! The business people are more concerned with things like how to communicate features to the customer, and anything leading to talk of degradation is a minus. I cańt see, that draining the battery to soc 0% and charging up is better than dod 20%…. You get more cycles if you charge earlier….or did I miss something? That’s great news! We live on a terraced street so have no home charger.. We generally charge it to 70 percent and run it down to 10 or zero (on a few occasions) it then hovers between these amounts. Would be good to test the battery. This is interesting thanks. I have started trying to time my charging so it ends up at 80% or less in the morning. Unfortunately my Leaf came with an already degraded battery: it was at 86% SOH when I got LeafSpy at 2500 km. I suspect the dealers who had it before I leased it kept it at 100%, as it only had 25km on the odometer. I haven’t calibrated the BMS yet though, so it’s possible I could get a few % back once I do that. Although it is a detail, they are not using 100% DoD in their test but ca 97%, because this 26F LG cells have 100% DOD at 2.75 V not 3 V. 🙂 It is also interesting that these tests had to take more than a year. The cell is Samsung, not LG Chem. Test 1 and Test 2 are different, they aren’t showing the same data. You are right Pedro, it is Samsung cell. 🙂 But both graphs are showing the same terminal conditoin which is set to 3 V. But I have no problem with this conclusion, without no doubts it is significantly better for cycle and calendar life to charge cells to lower voltage than nominal 4.2 V. And so it is good to give chance to customer to set lower SoC if he want to. But I must say that in real life there is no problem to charge vehicles to 100% SoC all the time, because “average” driver will not use 100% DoD for each ride. In fact it is about 50% DoD or less in average depends on size of your battery. So you will get more than sufficient battery life even with 100% SoC charging in BEV application. Also I have a little problem 🙂 with statement that most of cars have charging limitation to 95% SoC. Most of cars, which I know, are as manufacturer standard charged to full 100% SoC. And so their “unusable energy buffer” is located below, so the cells are not discharged to 2.5-2.75 V but to 3-3.2 V only. You have a good point Pajda. So, when my Nissan shows 100% charged, what kind of cell charging is that? You can see the real SOC with Leaf Spy. At 100 % on the dashboard, the real SOC is around 95 %. My 2012 SL only charges to 92-93% SoC as reported by LEAF Spy. The 80% charge goes to 80% SoC, not 80% of useable capacity as I would have expected (to maintain the illusion that the useable capacity is the “whole battery”). Nissan Leaf 2015 have maxumum charging voltage of 398.4 V, which is 4.15 V per cell and so it is about 95% real cell SoC .But for example Tesla TMX/TMS is charging to 403,2 V which is 4.2 V per cell so it is real 100% SoC. So it depends on vehicle and manufacturer. I-MiEV charges to 4.105 Volt per cell (including balancing) and when he is finished he calls that capacity “100%” (even after 7 years). How representative are these tests, would we see the same or similar results with other cells from other manufacturers? That is a good question. The easiest answer is not very much. You can expect similar results with the other cells with similar energy density. This particular cell have 550 Wh/l and so cells with higher density like Tesla will have significantly worse results under the same test. On the other side cells used in BMW i3 or e-Golf with much lower energy density will have significantly better results than this particular Samsung cell. Different cell types will obviously have different absolute numbers of cycles; but ratios in regards to SOC variations should be *roughly* in the same ballpark AFAIK. What happened when you live in a winterized country and you have to leave your car plug so the battery wouldn’t freeze. Michel, I think you only have to do that if you’re going to leave the vehicle parked for an extended period of time, like more than 3 or 4 weeks. Otherwise the battery warmer will use something like 300W periodically to keep the battery warm enough. On a Leaf it will keep it warmer than -14C, but it only brings it up to -11C or so. Overnight, the battery heater might use 1kwh, so if you charged to 80% on a 30kwh car, assuming that 100% in the cold is actually 24-25kwh, the battery would still be at ~75% in the morning. Oh boy, that battery “research” came from a product, that samsung released in the year 2004 and here is a product spec printed in 2009. Current I3 batteries are Samsung NCM111. … the I3-96Ah Product Specs. Evi3Girl has a very good point, for which I would really like to know the spec for my 500e (& other cars): What is the real SOC when the car’s display says 100%, & 0%? However, the further you stay away from those extremes, the longer your batt will last, regardless of individual model differences there OR in their BMS & TMS (which Tesla DOES have, but Leaf & eGolf do NOT). So Pajda’s eGolf may not be an ideal example of longevity. Winter tip: Set the timer to finish charging to your approximate ideal SOC shortly before your planned departure, to recharge any loss from the battery heater AND so the batt is at a warmer, more efficient temp as soon as you start to drive. Also turn on cabin heat while its still charging, to keep the SOC from dropping as much while you drive. Same principles for summer: A/C on while charging, so you dont need as much while driving, AND to keep the batt cool, depending on your car’s setup. 500e batt coolant is actively cooled by A/C refrigerant IF the A/C is on. I leave mine on all the time while driving or charging, with the fan off & vents shut, so its pretty much cooling ONLY the batt, not the cabin. It seems to only barely affect driving range. Also not just winter for timing charge to finish right before you drive. High voltage causes even more degradation if left stagnant at that level. I wonder if EPA would accept 70% or 80% SOC charge limit if it needs to be user-set each time. eKona & ioniq LIFETIME FREE REPLACEMENT BATTERY WARRANTY in USA makes all of the above nearly irrelevant (SECOND owner gets 10 years 100,000 miles!). That lifetime battery warranty does not cover capacity loss. If so, it still may not matter, based on a recent post by Pedro with specs indicating an eKona batt should have 200 mile range still available even after driving 225,000 miles! The spec is 80% capacity after 1250 cycles from 100% to 20% SOC at 25 Celsius (113F) & 1C charge/discharge. That’s pretty harsh: 1-hour discharge probably requires driving full speed with the heat or A/C blasting, 1-hour full recharge means using DC every time, & 113F might not even be possible with the liquid cooling system. In other words, Hyundai may as well offer to replace the original owner’s battery if it drops to 200 miles, because nearly nobody will actually experience that. 25° Celsius is definitely *not* 113 F. It’s ideal conditions. In practice, degradation will be worse. MAny thanks for the post Pedro. first of all, thanks Pedro for the article. 1) I thought I’d try to mostly charge using AC, targeting 10->80% as much as possible. From what I see, it might be preferable to target 5->75% (or even 5->70% if the range is sufficient, which should be the case during the week days). Am I right? 2) Does the 28kWh Ioniq have any reserve that should be taken into account for the real SOC? Like for instance the 60kWh Tesla model S, which was in fact a 75 limited to 60. So practically, charging it fully was only an 80% load…..
2) Ioniq have 28kWh usable energy, it is supposed that Ioniq battery rated capacity is 30.5 kWh. So it uses only 90% DoD. I do not know maximum charging voltage for Ioniq so I cannot tell if this reserve is on the top or bottom. I m driving over a year an ioniq and drove 37000km I don t have an noticable degree in range and I always charge to 100% and discarge daily between 13 till 40% depending on weather. However I ordered a kona ev and with that battery I will be easily able to stop charging around 80% hope Hyundai will provide this option. You are trying to derive the same conclusions from a single cell to a pack of cells in series… That’s totally wrong, and because most people are doing that (charging to 80%), they are loosing capacity.. The BMS needs to equalize all cells and that is done on the end of the charge. By not doing that, the diference between cells tends to get worst an the package health will get worst and worst all over time. – It’s completely wrong to assume that the 100% indicated by the car is really 100% on the cells. It’s the BMS that decides that. – Also, 0% on the car does not equals to 0% on the cells. The BMS would not allow for that. – If you are going to use the car the next day, charge it to 100% right before you pick up the car. Never leave the car with 100% for long period of times. 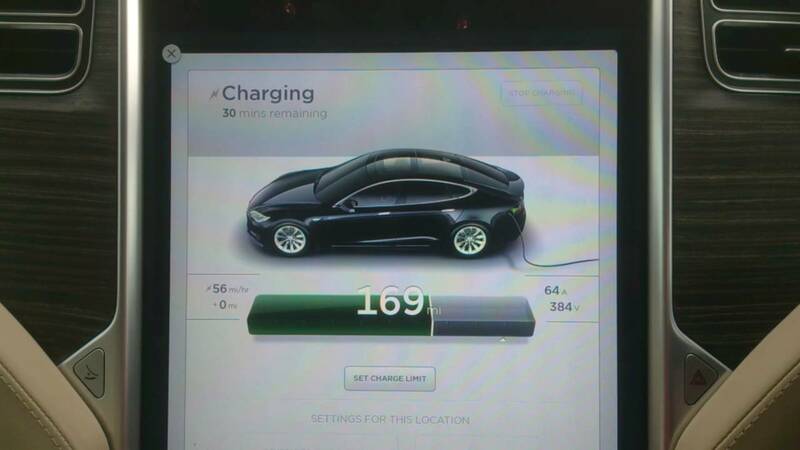 – If you are not going to use car next day immediately after it charges, don’t charge it to 100%. – Avoid as most as possible big DOD. And avoid leaving the car for a long period with the battery in a weak/very week state of charge. You don’t lose capacity by the pack being unbalanced. You only *seem* to. The BMS must ensure no cell falls below minimum voltage (SoC), otherwise it will be damaged. So if one cell is lower than the others, you can’t use the energy in the others because the BMS must shut down power to protect the weakest cell. But once you’ve balanced the pack again, that previously inaccessible capacity is restored. That’s why many people imagine a charge to 100% actually improved the capacity of their pack, when in fact it improved only useable capacity. If you charge to 80% for two years and then once to 100% you will have more capacity and more useable capacity than if you had charged to 100% during the same period. You may have had less useable capacity during that time, but what does that matter if you didn’t need it?? Basically, you should only charge to as much as you need, if you want to maximize battery health and cycle life. As i point out: one thing is one single cell, other thing is 96 cells in series… if you don’t allow the BMS to balance them, it will become worst and worst every day, to a point of no recovery. Sure, Mr. know-it-all: that’s why Tesla recommends to charge only to 90% or so for normal use — because they surely don’t understand cell balancing. Recommending to charge only to 80% or so probably makes sense; but 70% is likely pointless. Even if 70% is actual SoC (not 70% of usable capacity, which could be even less SoC), at this point other factors are likely limiting the battery life far more. I wouldn’t expect limiting to less than 80% or so to really make much of a difference. Nowadays we are using maximum the electronics devices in our life and among those, some are run with batteries the given information in this article is very useful about battery charging. I appreciate it when you said that in order to keep the car battery strong, it is best to limit the charging up to 70%-80% even if it means leaving it to almost empty sometimes. I am sure that the same principle with the machine battery that we are using since they have pretty much the same purpose. We wanted to know how to care for the battery and this is what I found. Surely everyone will appreciate the info. I charge my 500e every 2 days, going from 100 to 40/30%. If I charge until 80 I should charge every day or I would get under 10%. So, prefer to go to 100% but using 1 cycle every 2 days. instead. its like 150 a year and not 300. This is exactly how to degrade faster a battery ! 100% charge is a no go except for long trip, in this case it’s better to charge 100% just before it. Your electric car has a very durable battery pack protected with a TMS with liquid cooling. However, the same advises presented in the article still apply. If you limit your charges to 90-80-70 % you’ll get a much better battery life. Avoid charging to 100 % everyday. Thank you. The car computer does not allow to set a charging limit, so I guess that I’ll have to play with the timmings (it allows to set the charging start time, and I plan to charge at home during the night, about every 3-4 days). Abraço. Thanks for helping me understand that there are batteries wherein they are protected by not being fully charged or drained. I think that is important to keep them from being damaged fast. I will ask if the battery is like that before renting one so that I will not worry about damaging anything. We just need to rent one for the event that we will be hosting for the birthday of our son which is golf-themed.